And Rauch can testify to this personally because it was his own slump, despite acclaim as a journalist and commentator that compelled him to investigate the happiness curve. His own story and the stories of many others from all walks of life—from a steelworker and a limo driver to a telecoms executive and a philanthropist—show how the ordeal of midlife malaise reboots our values and even our brains for a rebirth of gratitude. Full of insights and data and featuring many ways to endure the slump and avoid its perils and traps, The Happiness Curve doesn’t just show you the dark forest of midlife, it helps you find a path through the trees. It also demonstrates how we can—and why we must—do more to help each other through the woods. Midlife is a journey we mustn’t walk alone. 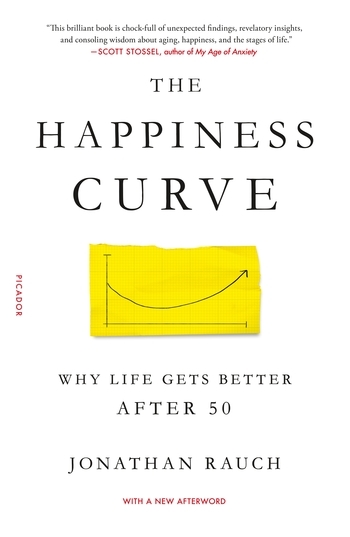 "The Happiness Curve is about a midlife transition that empirical life-time studies and “big data” have demonstrated to be just as reliable a finding as was Stanley Hall’s ground breaking 1907 definition of “adolescence.” In order to demonstrate that our psychological well-being declines until the fifth decade and then steadily improves, Rauch not only provides illustrative case histories--always scientifically suspect if reassuring--but also reviews authoritative lifespan studies, ranging from primatology to neurophysiology, from demography to frequency of mood altering medication use. With maturity, gratitude becomes easier, and “giving it away” becomes a source of joy, rather than a life sentence of “letting go." 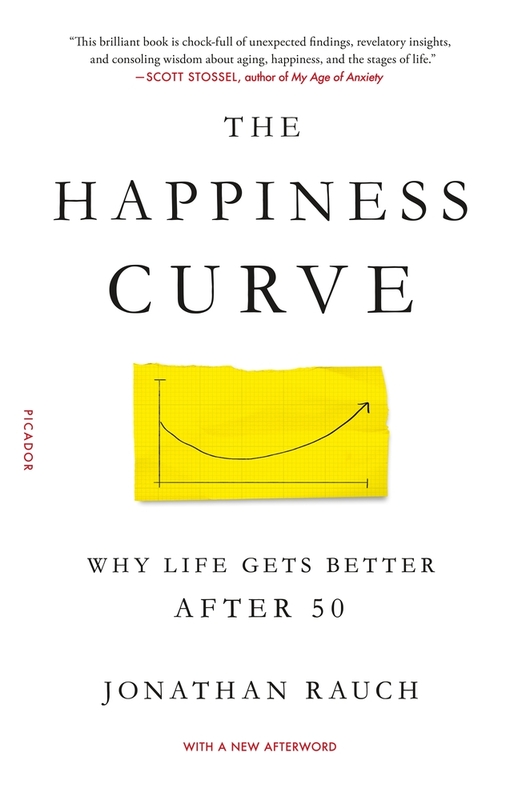 The Happiness Curve should be essential reading for everybody over 40.” —George E. Vaillant MD, professor of psychiatry at Harvard Medical School, director of the Grant Study of Adult Development, and author of Triumphs of Experience. JONATHAN RAUCH, a senior fellow at the Brookings Institution in Washington, is the author of several books and many articles on public policy, culture, and government. A recipient of the 2005 National Magazine Award, he’s a contributing editor of The Atlantic. He has also written for The New Republic, The New York Times, The Wall Street Journal, and The Washington Post, among many other publications. He lives with his husband in Washington, DC.